Driving from eastern Canada to the country's west coast is a major undertaking, but a rewarding one that you will not forget. Even Canadians are shocked by the diversity of the people and landscape when traversing the country. You'll be moving through a range of cultures, languages and dialects, provinces, time zones, and topographies that are all compelling and Canadian. You likely will enjoy some places more than others, but the fact that they all comprise one nation is part of what makes the journey so appealing. Especially if you're coming from Europe, which is a patchwork of different countries easily accessible to each other, Canada's expanse can be surprising. The quickest way across Canada is actually heading south in Ontario and continuing through the northern United States. But that would hardly be the Ultimate Canadian Road Trip, now would it? The stops included on this itinerary are mostly larger urban centers, assuming they will offer a wide variety of hotels with occupancy. If you have a trailer or RV, be sure to know where you can park it overnight. There are lots of campgrounds across Canada but reservations are recommended for the popular ones. In addition, Wal-Mart Canada allows one-night parking free of charge in its parking lots. 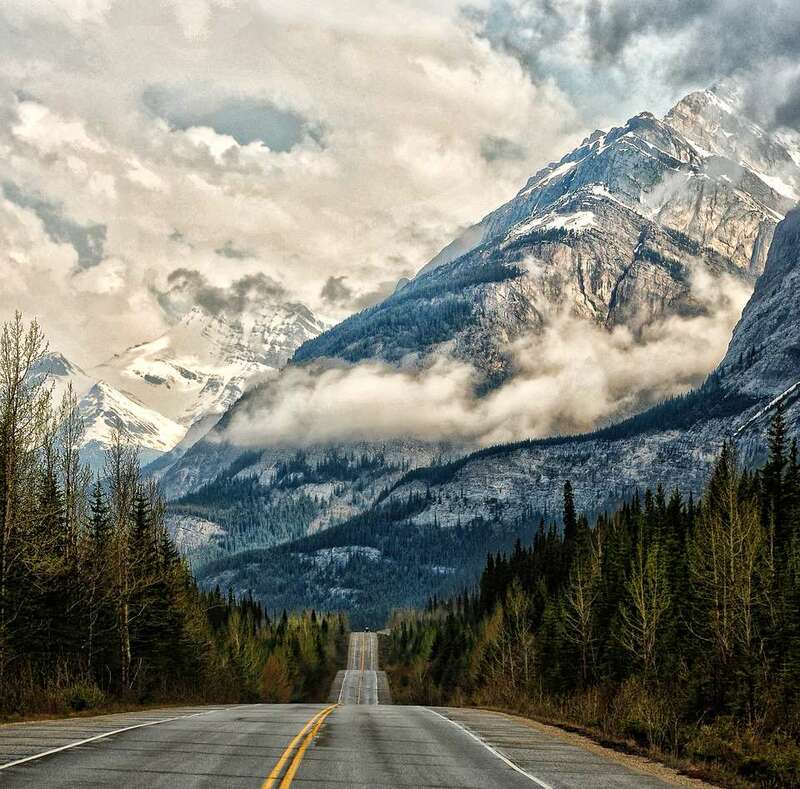 Don't be overwhelmed by Canada's size: Embrace it and tackle it head-on with the ultimate Canadian road trip, driving from Montreal, Quebec, west to Vancouver, British Columbia. Nights: 7 (This number can quite easily be reduced to 4 or 5 if you are willing to drive 10 to 12 hours per day. Of course, an even better option is to add a couple of stops along the way and take even longer). Time zones covered: 4 (Beginning in the Eastern time zone, you'll move through Central, Mountain and end up in the Pacific time zone). Currency used: All provinces in Canada use the Canadian dollar, though some, especially those close to the U.S. border, may accept American money. Safety: Canada is generally a safe country, with strict gun laws and a crime rate much lower than in the U.S. That said, be sure to keep your car locked when you're not in it and your valuables in a safe place. 911 is the emergency number everywhere. Speed limits: Highway speed is between 100 and 120 km/hour depending on your province. Don't worry about your French here. Though many people here speak French, shopkeepers and restaurant and hotel staff pretty much all speak English. The first leg of your journey from Montreal to Toronto is not a particularly scenic one if you take the quickest route, which is by the 401 highway. Nevertheless, there are several nice pit stops along the way, which include historic Kingston or Prince Edward County. Toronto is Canada's biggest city, its financial center, and the most popular destination for travelers. It is bustling and diverse with no shortage of things to do. But it is a city and if you're not up for tackling the crowds, continue on past Toronto, north on the 400 highway, where in three hours you will arrive in Ontario cottage country, a region of lakes and forest. Here you can find camping or smaller scale motels or resorts in a pretty setting. Another option is to reach Barrie, a mid-sized city that will reduce tomorrow's drive by an hour and a half. Recognize that Toronto traffic is a nightmare, so if you stay over, get on the road early in the morning, or consider staying on the northern outskirts of the city so you can make an easy morning break for the 400 highway. Once again, the 400 highway is the fastest route but if you're interested in seeing some of the pretty farmland north of Toronto, hit the more rural roads that run parallel. As you head north of Toronto, your nerves will relax as urban sprawl gives way to the rugged, forested landscape of the Canadian Shield. Today's drive hugs the giant coast of Lake Huron through Northern Ontario's biggest city, Sudbury, and winding up in Sault Ste. Marie, one of the country's oldest communities. Sault Ste. Marie, known colloquially as, "the Soo," is a riverside community that borders Michigan, U.S.A. Accommodation is limited to smaller scale hotels and motels but you will see some familiar chains, like Marriott, Delta and Super 8. It's on this day that you'll wonder if Ontario ever ends. It is huge! Northern Ontario is relatively unpopulated (most of the province's population lives in the "Golden Horseshoe" region around Toronto). Plus, those Great Lakes just get in the way of everything, making driving "as the crow flies" difficult. Not a lot to see along the 700 km stretch between the Soo and Thunder Bay unless you stop at some of the lookouts, where you will witness the craggy beauty of the Canadian Shield. You are now on the Trans-Canada Highway, which is generally single lane. Take care of the transport trucks and wait for passing lanes before overtaking them. Keep your gas tank above half, as services are limited, especially between October and April, and try to get to Thunder Bay before dark, while always keeping your eyes peeled for moose and deer. Continue on Trans-Canada Highway 17 from Thunder Bay to Winnipeg for the most well-worn route and services. But if you're looking for scenery, with way fewer trucks, take Highway 11, south of Highway 17. You made it to Manitoba! The provincial capital of Winnipeg is a fairly populous city, but it's easy to get around and not sprawling. Essentially a big city, with more of a small-town feel. The people are down to earth and friendly, but it's cold as heck in the winters. There are lots of hotels in Winnipeg to suit any range of budget and thriving cultural and culinary scenes. The must-see attraction is the Canadian Museum for Human Rights. Between Winnipeg and Regina, you're in the heart of the Prairies — that means flat. Police have reportedly pulled over people for reading books while driving here. If you are looking to shave some time off of your trip, this may be a stop to eliminate. It's not that Regina is not worth visiting, but you could spend extra time in the Rocky Mountains. 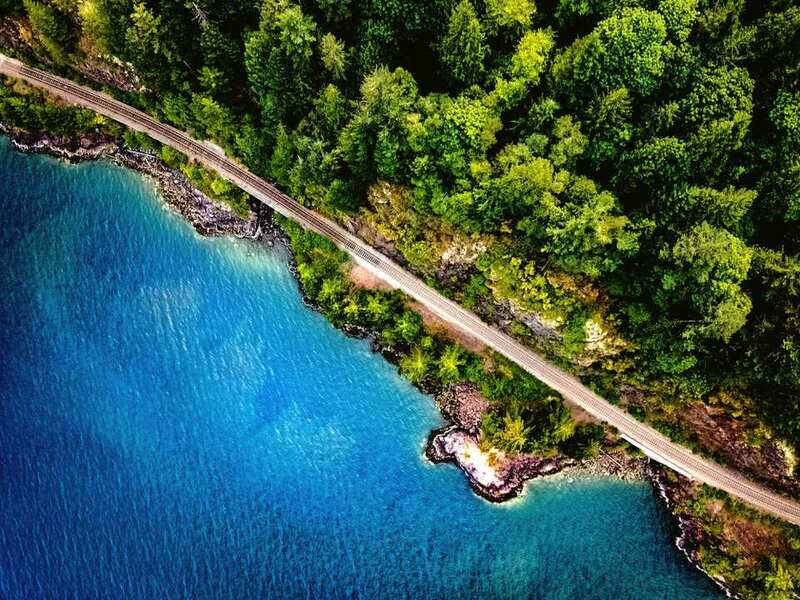 Another option doesn't shave time off but is a beautifully scenic drive. Head north on the Yellowhead Highway out of Winnipeg, en route to Saskatoon, Edmonton, Jasper and then back south to reconnect with the Trans-Canada Highway. It's also a big city that some may wish to avoid, so you can consider carrying on to Canmore or Banff, both small, pristine tourist towns. The B.C. interior is really one of the most beautiful regions of Canada — the drive between Calgary and Kelowna will blow you away. The shortest route along the Trans-Canada Highway is incredibly scenic through the towns of Golden and Revelstoke — home to two of Canada's best ski resorts — and perfect places to stop for lunch and photos. We've chosen the route through Kelowna instead of Kamloops simply for the fact that Kelowna is the heart of the Okanagan Wine Region. If you're not wild about wine, skip it, and stay on the Trans-Canada highway. Get out the rain gear and put on your Birkenstocks. You made it to Vancouver, B.C., Canada's answer to San Francisco and one of the world's most livable cities. Surrounded both by water and mountains, Vancouver is a big urban center with laid-back charm. Though you deserve to put up your feet after the big drive, that's the last thing you'll want to do in Vancouver, where the people are always on the move, either kayaking, jogging the seawall, climbing the Grouse Grind, or any number of other ways to enjoy the city.